. . .n mind, and show it to another mind; and at once her countenance lighted up with a human expression: it was no longer a dog, or parrot: it was an immortal spirit, eagerly seizing upon a new link of union with other spirits! I could almost fix upon the moment when this truth dawned upon her mind, and spread its light to her countenance; I saw that the great obstacle was overcome; and that henceforward nothing but patient and persevering, but plain and straightforward, efforts were to be used. 'The result thus far, is quickly related, and easily conceived; but not so was the process; for many weeks of apparently unprofitable labour were passed before it was effected. 'When it was said above that a sign was made, it was intended to say, that the action was performed by her teacher, she feeling his hands, and then imitating the motion. La primera historia (Cuento de Navidad), me encantó, pero las otras dos (El Grillo del Hogar y Las Campanas), no fueron para mí. Les faltó esa magia que caracteriza a Cuento de Navidad y a pesar del mensaje, no me llegaron. A Christmas Carol (5/5) - If you make time to read one Christmas book, make it this one. Really enjoyed this re-read. Who doesn't love the tale of Mister Scrooge finally finding his Christmas Spirit? 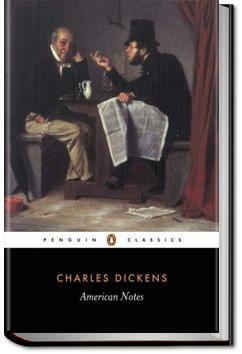 Overall 4 stars for this collection of Charles Dickens’ Christmas stories. This was a great way to complete my 2018 GR reading challenge and to finish up my reading year.